1. Tree Hut Body Scrub in Vanilla Spice – this richly moisturizing body scrub uses organic cane sugar to exfoliate dead skin from your body, and organic shea butter and organic olive oil to moisturize the new skin left behind. Extracts of lavender, chamomile and vanilla offer anti-inflammatory and reparative properties, while offering a beautiful, exhilarating aromatherapy experience. 2. Yes To Baby Carrots Bubble Bath – few things feel better than a hot bath on a cold winter day. This bubble bath is full of soothing organic aloe vera, organic melons and vitamins c and a. This is a bath that will soften skin and protect it against those harsh chilly nights – and it’s not just for babies, everybody deserves to be babied once in a while! 3. 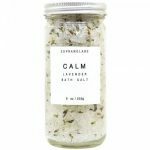 Hugo Naturals Fizzy Bath Bomb, Lavender and Chamomile – a wonderful alternative to bubble bath is the bath bomb. Some people love the ease of turning on the tub and throwing in the bath bomb. 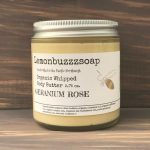 The fizzing action is relaxing and lets off the relaxing smell of lavender oil, chamomile flower oil and sweet almond oil. 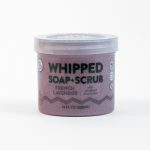 A perfect before-bedtime bath product! 4. Scotch Naturals Non-Toxic Nail Polish in MacBeths Dream This gorgeous nail color is a dark mulberry creme and a color that will look smashing with just about any skin tone. The best part about this particular color in Scotch Naturals non-toxic nail lacquer line is that it can be worn any season and still look fresh and beautiful. 5. Mistral Men’s Soap in Black Amber – Let’s not forget the men on your list! 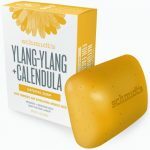 This soap is made of all of the beneficial and cruelty-free ingredients commonly found in women’s body products, such as organic shea butter, pumpkin seed oil, white coffee extract and green ginseng, but features more masculine scented oils, such as cedar wood and eucalyptus. All of these companies feature cruelty-free products that are <a href=”https://www.vegetarianbeautyproducts.com/join-the-intentionally-cruelty-free-beauty-movement/” target=”_blank”>made that way by intention</a>, and that are sure to be a hit with their recipients! ← Stuck for Vegan-Friendly Holiday Gifts? Try the Vegan Conscious Box!